Q: Does ‘N RAGE Hair dye work on dark hair? A: This product will work on all hair types, textures, and natural hair color levels. The darker the natural hair color, the less intense the color will be. For example, if your hair is medium brown to black, regardless of the color you choose, the results may not be as intense if your hair is from light brown to light blonde. However, your hair will look very shiny and healthy and added body. The result on darker hair, depending on the color used, will be a shimmery effect of the color used. Q: Do I really need to bleach my hair before using ‘N RAGE? A: To achieve a more intense color, hair should be pre-lightened to a level of Pale Blonde. You can use it on any level of natural hair color but the results are intense on bleached or highlighted hair. Q: Does demi-permanent mean it will last forever? A: ‘N RAGE is a class of hair color designated as semi-permanent. This category of hair color means that the color does not need to be mixed with an activator (developer, peroxide). It is applied directly to the hair. We call ‘N RAGE a demi-permanent color because of the type of delivery system and the amount of dye which the color delivers to the hair. 'N RAGE is able to penetrate deeper and remain in the hair longer because it reaches into the hair shaft at a much lower level and locks into the hair structure more efficiently than regular semi permanent hair color. Q: Do I need to add a developer to it? A: No, ‘N RAGE is applied directly to the hair without any need for activator or developer. A: Processing time is 15 minutes without heat. Q: Do I need to shampoo my hair before applying ‘N RAGE? A: A pre-shampoo is not necessary; however, a pre-shampoo will help to remove any styling product buildup or any other type of leave on the product from the hair. Not necessary to shampoo but if in doubt, shampoo. Do not use any conditioners after the shampoo as this will coat the hair and inhibit the processing. Q: What happens if I pre-lighten my hair, but I wasn’t able to lift it to pale blonde before applying ‘N RAGE? A: For the highest degree of color intensity, It is very important that the hair is lightened as much as possible. If the hair has any remaining natural pigment remaining the desired color may not be true to tone or intensity. This is a concern when applying pastel shades or blue shades. Q: Do I need to wear gloves when applying ‘N RAGE? A: Always control your environment. Please wear gloves. Apply cream around the hair line to prevent dripping and be very careful with drips and splashes. Like any hair coloring product, this product will stain anything it comes in contact with, so take precautions to make sure that clothing, furniture, sinks, and towels are suitable for use. Q: Why do I have to bleach before coloring my hair? A: If you are using a semi-permanent or temporary color and your natural hair color is not pale, blonde bleaching or decolorizing your natural hair color is the only way to achieve color intensity and depth. Semi-permanent and temporary hair colors only deposit pigment in the hair. They do not lift or lighten natural pigment. Q: Directions say I should do a strand test. Do I really have to? A: If you are bleaching your hair for the first time, it is advisable to do a strand test, so you can determine the correct processing time to achieve the results you're looking for. A strand test will also show you how the hair is affected by the lightening process, so you can take steps to keep the porosity under control and what you may need to know about conditioning after the bleach and/or hair color. Q: How long should I keep the bleach in my hair before I can rinse it out? A: The directions in the kit provided estimated times based on natural hair color. Doing the strand test will also help you to determine the timing needed to achieve the level of lightening desired. The actual chemistry of bleaching, regardless of the volume of peroxide used, lasts for approximately 60 minutes after application. Once the reaction has achieved maximum lightening, the lightening will drop off dramatically and slow down to almost stopping. That's because the chemical reaction between the liquid peroxide and the powder bleach has been exhausted. The lightening may stop or slow down (becomes less visible) but the damage to the hair doesn't which results in extreme damage and breakage. Once processed to the desired degree of lightening, gently shampoo and towel blot hair to dry. If you want to use the White-Out toner, you can apply after you gently shampooed the hair in order to remove any remaining bleach mixture. If you are going to use a tint or a semi-permanent color, it is recommended that you lightly shampoo as well to make sure that you do not interfere with the processing of the tint or color. Q: Can I keep the bleach longer in my hair so it's really white? A: It is not a good idea to leave a bleach mixture on the hair longer than 60 minutes at a time. Extended timing will result in the hair becoming extremely damaged but not necessarily becoming any lighter. If you are not achieving the color that you want, the best way to give it the appearance of being lighter is to use a toner after the bleach, which contains ingredients to help counter any residual yellow remaining in the hair. Typically, this type of toner uses a violet pigment to help neutralize unwanted warmth in the hair after bleaching. Or you can reapply a fresh mixture and start decolorizing the remaining pigment. You should be very careful not to over process the already bleached hair. Timing will be critical and test strands should be taken every 10 minutes to ensure it does not over process. Q: Do I really need to bleach my hair before adding color? What happens if I don't bleach? A: To achieve semi-permanent or temporary color with the most depth and brightness you need to apply this type of color on the most decolorized hair possible. You need to remove as much natural pigment as possible if you want a hot pink or a true blue or any other shade of high intensity. If you do not decolorize your hair you will deposit pigment which will create a hue of color which is the result of combining the color with the natural pigments. The result would be very shiny hair with color enhancement but not necessarily color true to tone. Q: I have thick long hair, is one kit enough? A: If you are highlighting, streaking or doing a balayage, one kit is probably sufficient. It depends on how many highlights, streaks or how much balayage you intend to do. If you are going to do a whole head bleach, you will need to purchase additional kits. Q: Does this work on black hair? A: Yes, it will decolorize black hair if that is your hair color. If you are referring to ethnic black hair, and if the hair has been chemically relaxed or permed then you should not bleach this type of ethnic hair texture. You should use this as a rule of thumb when attempting to bleach any chemically challenged hair regardless of ethnicity. Q: How long do you have to wait to bleach your hair again? A: You do not re-bleach the existing hair. You need to only do the regrowth. If you want to reapply the bleach mixture to get your hair progressively lighter you should be extremely careful not to over-process the second application. Make sure that you condition or use a reconstructor to maintain the hairs optimum condition. Be extremely cautious if you choose to re-bleach hair in even good condition. You can retouch permanent hair color whenever you feel the need to provided you have enough regrowth to retouch. The same can be said of whole head bleaches. The caution here is to not overlap product on to the existing or already decolorized hair since it will break it at the prior point of bleaching. You should never reapply any reactive product (permanent hair color or bleach) from scalp to ends. You should only process the regrowth. Q: Can you put bleach over hair color? A: Yes, bleach will decolorize any pigment, artificial or natural hair color except henna which is a natural plant color. You always need to use a decolorizing agent like bleach to help remove pre-existing hair color. However, the results of bleaching over hair color will not be the same as bleaching virgin hair. Any remaining natural and artificial pigment will be decolorized. Depending on the type of hair color you bleach over, permanent hair color can result in an orange/brassy gold stage. Semi-permanent color can be lifted easier but it may not remove 100% of the color. Q: How long do you keep bleach in your hair? A: It is advisable to do a test strand and check the timing as you process the section. With darker natural pigment you might not see anything at 20 minutes, but it will begin to process rapidly after 30 and then usually up to 60 minutes after that the lightening is seriously diminished. At this point, it's better to remove the bleach by rinsing it off and reapplying a new mixture. A: Yes. Once you decolorize your hair it will not revert to the natural pigment. Only as the hair grows out will you see the natural pigment again. Q: I heard that bleaching will damage my hair? A: Yes, bleaching your hair to decolorize it will change your hair's structure. Following some commonsense rules and directions will help to minimize it and the using sulfate-free shampoos, reparative conditioners, and reconstructers will help to modify this structural change. Also, several new semi-permanent hair colors contain ingredients which help to minimize the problems that the bleaching process does to hair. And the important thing to remember is that you do not re-bleach hair that has already been bleached. You only decolorize the regrowth. Q: Do you wash your hair with shampoo after bleaching it? A: Yes, but you need to pay careful attention to the type of shampoo and conditioning products that you use on bleached or processed hair. Remember to make sure you remove the entire bleaching product from your hair and scalp. Any remaining product can irritate the skin and scalp and continue to damage the hair if not removed thoroughly. There are a lot of very good products specifically formulated for bleached, highlighted, and over-processed hair which will help to maintain the condition. We would always recommend a sulfate-free shampoo for bleached hair and appropriate conditioners and reconstructors. A leave-in conditioner is also a good idea to keep the hair looking healthy and shiny. Let's face it, if you've chosen to go through this process you will need to change up the regimen you used on your hair before you processed it. It's going to look spectacular, but you'll need to do some extra maintenance to keep it looking good. Q: What are the advantages of using the N'Rage 3n1 shampoo + conditioner vs the N'Rage Demi-permanent? A: These products both contain color but they have totally different applications. N'Rage is a Demi-permanent color that lasts 20-30 shampoos; N'Rage 3n1 is a color refreshing shampoo+conditioner that is used to refresh color not replace it. It fades with several washings with regular shampoo. The fade is tone on tone. Q: What is the difference between the N'Rage 3n1 shampoo + conditioner and the N'Rage Demi-permanent? Q: How much more/less does the N'Rage Demi-permanent last vs the N'Rage 3n1 shampoo + conditioner? Q: How many uses can you usually get out of a bottle of the N'Rage 3n1 shampoo + conditioner? A: Depends on length of hair and number of times you shampoo a week. Since the product comes in an 8.5 oz. bottle and you use 1 oz. per application then you could use the product 8 ½ times. Shorter hair the less you would use so you could get double that number of uses. Q: I wonder how well the N'Rage 3n1 shampoo + conditioner will work? A: Remember you are using this product to refresh your hair color or to add tonal value to your natural hair color. Its effectiveness is based on the condition of your hair. Bleached, tinted, highlighted or hair which has been chemically altered will be affected more dramatically than hair which is less affected by any of these processes. Even if you don’t see the color the product will add a lot of shine and act as a deep conditioner to restore elasticity and shine. Q: How do you remove the N'Rage 3n1 shampoo + conditioner if someone doesn’t like how it turned out? A: Shampoo with a strong cleansing shampoo or you can use dish soap. In both cases you should condition after do maintain the hairs integrity. Q: Does the N'Rage 3n1 shampoo + conditioner have to be applied to a bleached head only? A: It’s primarily a color refreshing shampoo + conditioner and usually the hair is bleached when an intense demi-permanent is applied. However the product can be used on hair which is not bleached to a limited effect. More for a shimmer or to impart a tonal effect. The intensity is determined by the degree of porosity the hair has. Q: Can the N'Rage 3n1 shampoo + conditioner be applied on previously colored hair that is either semi-permanent or permanent hair color? Q: Does the hair have to be clean or dirty before application of the N'Rage 3n1 shampoo + conditioner? Q: Does the N'Rage 3n1 shampoo + conditioner get applied to wet or dry hair? Q: What effect does the N'Rage 3n1 DIAMONDISTA have on a darker hair? A: It will make the hair appear more conditioned and shiny. Q: Does N'Rage 3n1 DIAMONDISTA tone only or will it give the silver/platinum look that is currently in high demand? A: This product does not replace a demi-permanent color; it is a color refresher; so it acts more like a toner than a demi-permanent color. It will impart the silver/platinum shades on bleached hair. Q: Does the N'Rage 3n1 DIAMONDISTA it help keep your hair gray or black? A: Works best if you have bleached hair so the true color can come through. It will not change your natural hair color but it will add a hint of silver to your hair color. Any level of brown or black may become slightly darker but unless the hair is very porous (damaged) not be noticeable. Q: Can the N'Rage 3n1 MOCHANIFICENT be used to touch up roots and or cover grey? A: This is a brown color refreshing shampoo + conditioner. Only permanent hair color will cover grey; this product will blend grey not cover it. It will not touch up roots. You need peroxide and permanent hair color to do that. Q: Is the N'Rage 3n1 shampoo + conditioner a product that can be used in the shower? 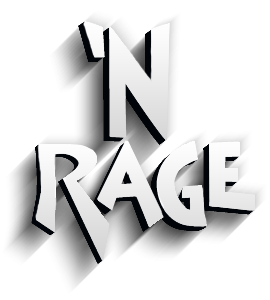 Q: Does the N'Rage 3n1 shampoo + conditioner intensify if you leave it in longer? A: You will get more deposit if you use it past the 3-5 minutes recommended in the instructions however, it does not guarantee it will last longer and unlike a demi permanent color, it may not deposit pigment uniformly as it has a conditioning shampoo base not a true color base. Q: Does the N'Rage 3n1 shampoo + conditioner work on black hair? Q: Do they use N'Rage 3n1 shampoo + conditioner it to dye the hair in the vid? Is it also good for pastels? A: Yes. Pastels are soft and delicate tones. These were created to give maximum color quickly within 1-5 minutes. You could not control the deposit if you want to refresh pastel tones. The result would be somewhere in between a pastel and full color tone. More on the intense side. We do not recommend diluting the product in any fashion. This will upset the balance ratio of the dyes used along with the conditioning and shampoo benefits in the formula. Q: Can we use the N'Rage 3n1 shampoo + conditioner with highlights with the Flamingo Pink? A: Whichever color you use on your Flamingo Pink highlights will affect the Flamingo Pink highlights. And if you do use the 3N1, I would basically apply and then take it off. Don’t leave it on for more than 1 or 2 minutes. Q: What effect does the N'Rage GET THE YELLOW OUT give on darker hair? Q: What is the difference between the N'Rage GET THE YELLOW OUT vs all the others on the market? Q: Will it stain my skin and shower? A: Except for temporary hair color, all other hair color dyes will stain skin and your shower or tile. We recommend gloves for your hands and possibly use a sink or a less exposed area to rinse off the product. If the product does come in contact with tile or grout, rinse off immediately and use a bleached based cleanser. Q: Can it be used on eyebrows? A: N'Rage products carry customary warnings to not be used around the eyes. Q: Does N'Rage 3n1 shampoo + conditioner contain any harsh chemicals? A: All 3n1 N'Rage are sulfate, paraben, ammonia, peroxide, PPD and gluten free. Its also vegan and tested on humans. Q: Is the N'Rage 3n1 shampoo + conditoner products gentle on my hair? A: All 3n1 N'Rage products are developed specifically for hair that has been pre-lightened or bleached. We took the most damaged hair and created a formula that would restore it to its natural softness, shiny and condition. These specific ingredients make the hair come alive with shine and body. On Natural hair color or hair that has not been chemically treated in any way, the result gives hair a healthy conditioned glow and a shimmery tonal value. Q: What is the policy on animal testing?